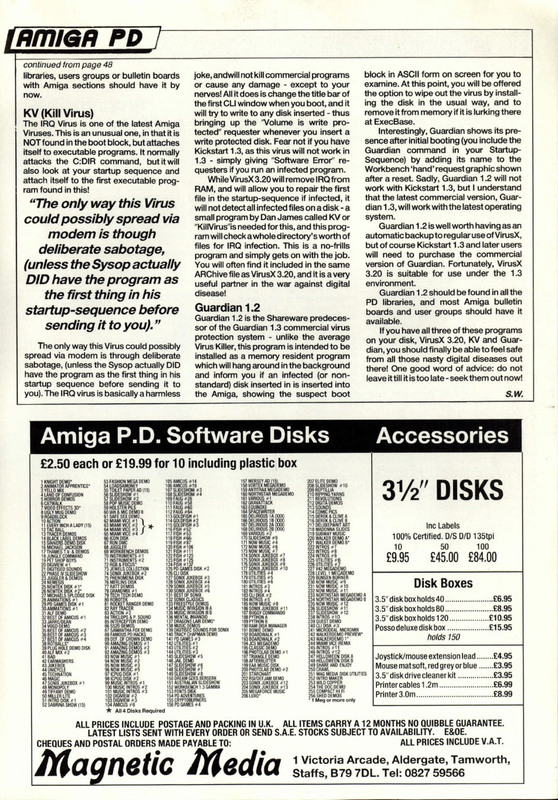 The Amiga was probably the first home computer for which the now-ubiquitous (at least on Windows) computer virus became a serious problem. At least, if you were a user of pirated software (and there was a lot of this about) or were unaware of what by July 1989 were the risks of downloading software from bulletin boards without some kind of protections. 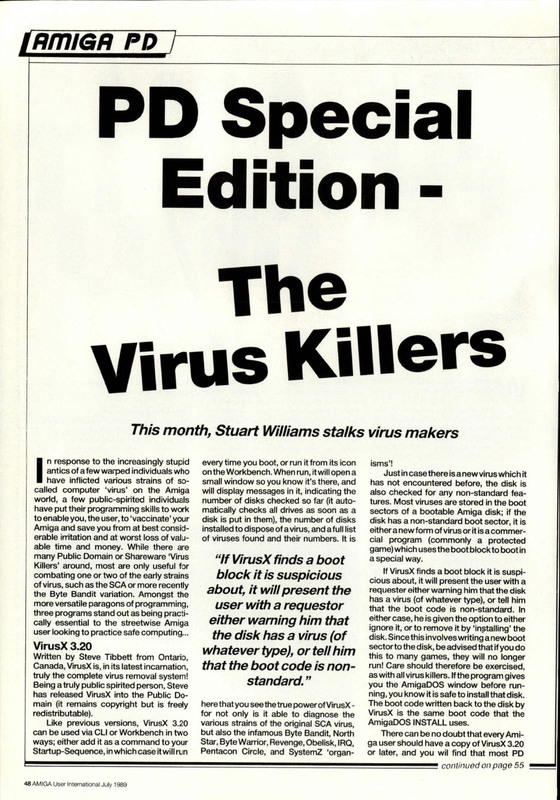 This article, a special one-off feature, showcased public domain software tools for defence against viruses.